International Journal of Yoga Natural Therapy (IJYNT) is an International peer- reviewed open access Journal which aims to publish scholarly articles in the area of Yoga and Natural Therapy. This Journal will discuss about the recent research in yoga and applications which will help the society to cure diseases. Symbiosis online Journal of yoga and natural therapy will help to share the knowledge and discus the issues related to yoga. This Journal will serve researchers, yoga practitioners, health professionals, yoga therapist and people all around the world to bridge the gap by providing in depth knowledge about the yoga and its applications in order to maintain a balanced life. Our motto is to publish challenging research related to traditional yoga and the way to cure diseases by using natural therapy. Yoga has the power to tranquil the nervous system and can experience a sense of stability in the body, mind and spirit. Yoga can prevent specific diseases by keeping power crest open and flowing of prana continuously. Practicing yoga daily can reduce blood pressure; stress and can enhance sleep, digestion and concentration. International Journal of Yoga Natural Therapy is an interdisciplinary Journal which welcomes contributions from researchers and yoga practitioners who are involved in discovering empirical research related to yogic science, meditation, Ayurveda, Philosophy, Psychology and Natural Therapy. Journal provides a platform to publish their innovative findings regarding yoga and Natural therapy which will aid for the people around the globe to keep abreast with the recent issues related to this disciplines. Natural therapy has the power to heal the body by themselves and recover from illness in the presence of healthy environment. The process is done with the help of natural things such as sunlight, water, fresh air, herbs and nutritional supplements. 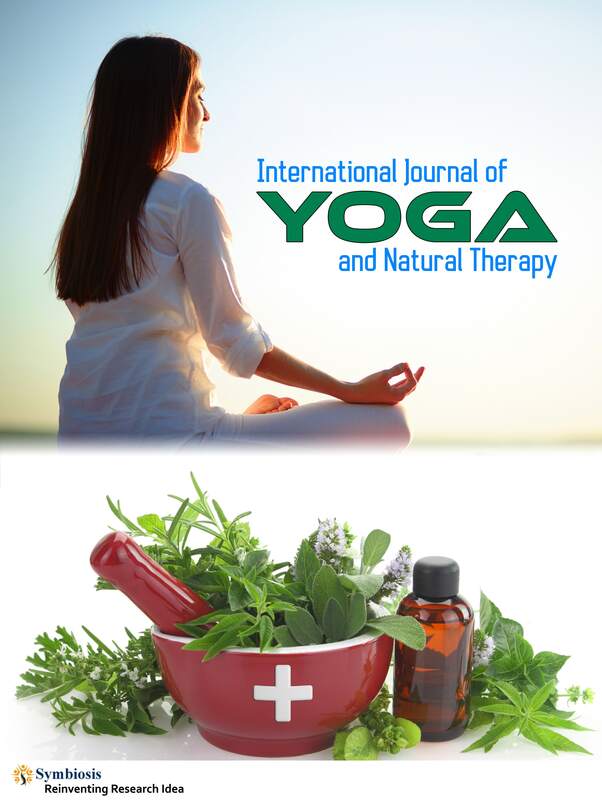 International Journal of Yoga Natural Therapy welcomes authors to submit their innovative research in the form of original articles, case reports, mini reviews, review articles, editorials and short communications. Our aim is to maintain utmost quality for all the articles hence the submitted manuscripts will undergo peer- review process before publication and the accepted articles will be published online immediately. Readers can access anywhere around the sphere for free of cost.